If you or your colleagues are new to blogging, Lorna Costantini and I will be conducting a “Blogging for Beginners” session on Wednesday, March 31st at 7pm EST (http://tinyurl.com/lcparticipant). We will be using Weebly as the blogging platform and walking attendees through the process of setting up a new blog, creating posts and commenting on other blogs. We will also show attendees how to add images and a custom html text box for adding widgets, embedding videos, etc.to blogs. If you already write and maintain a blog, please invite your colleagues to join us tomorrow evening. 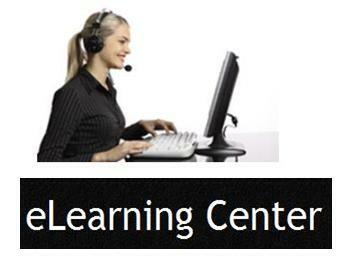 The session is offered in conjunction with LearnCentral and our hew training initiative, ‘Elearning Center’. We greatly appreciate your support by promoting this session with your colleagues. Join us tomorrow evening and create your own blog with us using Weebly! 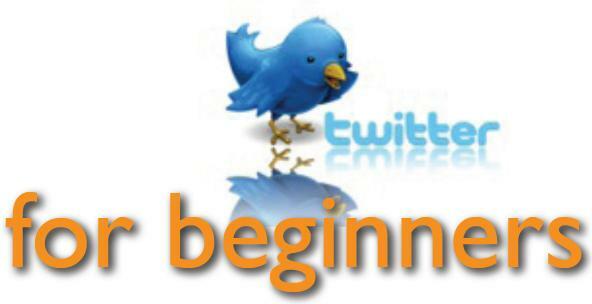 Please join Lorna Costantini and myself on Wednesday, March 24th at 7pm EST for a ‘Twitter for Beginners‘ webinar. The session will be in Elluminate and anyone new to using Twitter is invited to join us. If you are already an avid Twitter user, please invite colleagues and friends to join our session tomorrow evening or on March 24th. During the session, Lorna and I will walk the participants through the basics of using Twitter. Participants will sign up for a Twitter account and the use of the demonstrate different aspects of using Twitter. If you are new to Elluminate, you may want to join the session a bit early to make sure that you do not have difficulty accessing the session. You can use your computer microphone to ask questions or use the chat window to participate in the discussion using text only. The ‘Twitter for Beginners’ session will be offered through the ‘Host Your Own Webinars‘ group at LearnCentral.You can register for the session at the LearnCentral event page or email us at info@elearncenter.ca. This session is free and open to the public. If you are unable to register or email us prior to the start of the session, please still join us. The “Twitter for Beginners‘ webinar will be the first session of our new venture and offerings of our innovative ‘eLearning Center‘ training center. Each week, Lorna and I get requests for us to create webinars on a variety of topics for beginners. Our sessions will be designed to offer support and resources to beginners just starting to use web 2.0 tools and technologies. 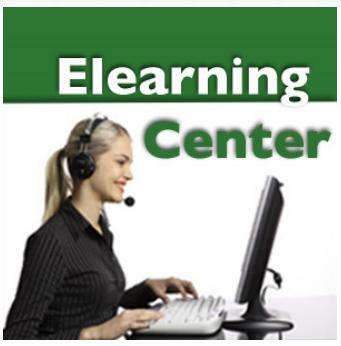 All of our training sessions can be customized for groups of employees or faculty members. Interested in having your students participate in the ‘Siemens We Can Change the World Challenge’? I received a message regarding the online news release of the launch of the challenge and exclusive screening of the Discovery Channel’s latest documentary, ‘LIFE’, at Philadelphia’s renowned Franklin Institute in conjunction with the NSTA National Conference. The Siemens Foundation, Discovery Education and the National Science Teachers Association (NSTA) are partnering again this year to educate, empower and engage students and teachers nationwide to become “Agents of Change” in improving their communities through the Siemens We Can Change the World Challenge. This year the Challenge expands to high school, by inviting students in grades 9-12 to join the effort to meet the environmental challenges of our age. This new phase of the Siemens We Can Change the World Challenge kicks off today at an exclusive screening of Discovery Channel’s new documentary LIFE at Philadelphia’s renowned Franklin Institute in conjunction with the NSTA National Conference. Teachers, students and mentors can log on to http://www.wecanchange.com/ for more information on the Siemens We Can Change the World Challenge, which officially opened for entries on March 15, 2010. To access to the news release online, visit http://bit.ly/ansu3n. Visit the website (http://bit.ly/ansu3n) to learn more about the challenge and kick off event. It is always rewarding and exciting to receive comments left on my blog posts or submitted through the blog contact form. Lately I have been getting comments or requests from educators to connect with other educators to collaborate on global projects. Below is a request to connect with other teachers for an exciting global collaboration project. I have been a Social Studies teacher for 17 years and I have taught technology for 12 years. I have started many educational programs in several school districts and I have a graduate certification in Network Administration from Denver Technical College as well as a degree in History from Florida Atlantic University. I am doing this with no corporate affiliation. I am putting together a program called The Global Nation Project for Colorado Springs School District 11, which includes having our students use our distance labs, teleconferencing, and all the latest technologies to work with students around the world in collaborative projects involving the topic of Globalization. Our students would use technology to teach each other about the uniqueness of their regions geography, history, economy, and other pertinent areas. In an age where instant communication with people all over the world has become a common event we still have misunderstandings between us that impede our ability to have an honest open dialogue. We teachers have a responsibility to instill in our students the desire and ability to appreciate the uniqueness of the cultures of the world. Could you put me in touch with educators that would be interested in this undertaking? Come visit my website and add your comments, pictures, and videos on the topic of Globalization. Your contributions will be part of the unit we are creating. Please take a moment and tell us what you think about the subject in the FORUM or BLOG area. Thank you so much for contributing to this venture. If you are interested in connecting with Jack or would like to connect your colleagues with him, please email him at the email address listed or visit the Ning for more information. Please join Lorna Costantini and myself on Wednesday, March 17th or March 24th at 7pm EST for a ‘Twitter for Beginners‘ webinar. The session will be in Elluminate and anyone new to using Twitter is invited to join us. If you are already an avid Twitter user, please invite colleagues and friends to join our session tomorrow evening or on March 24th. During the session, Lorna and I will walk the participants through the basics of using Twitter. Participants will sign up for a Twitter account and the use of the Tweetdeck application will be featured to demonstrate different aspects of using Twitter. Participants may already create a Twitter account and download Tweetdeck for use during and after the Elluminate session. Tweetdeck is a fantastic application to manage Twitter feeds but it is not required to successfully use Twitter. Tweetdeck is an easy application for beginners and helps Twitter users become more adept at using Twitter on a larger scale and for this reason we will be using this application in our sessions. Classroom 2.0 Live has been nominated for Best Educational Webinar series for the Edublog Awards. We would love your support so please click the image and cast your vote for Classroom 2.0 Live. Don’t forget about Pi Day 2019! Education Problems And Solutions #7: Everyone Is Entitled To My Opinion UPDATED | Stately McDaniel Manor on Texas Testing Costs How Much?